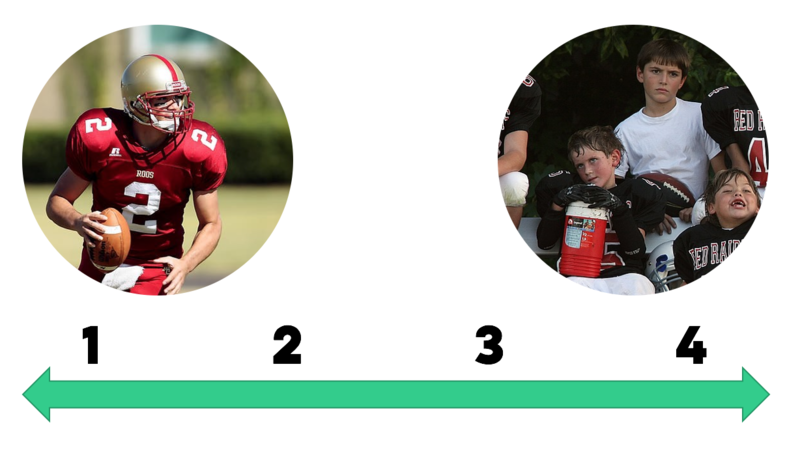 On a scale of 1 to 4, is your product marketing function the quarterback or the waterboy? That was the question that came out of last week’s Product Marketing Conference, where many presenters spoke about the role of product marketing and how this function can have the greatest impact on the business. This analogy, suggested by the CEO of DocSend, articulated the range of product marketers who play a strategic leadership role versus those who are reactive and tactical-only. The quarterback is on the field, setting plays, and leading the team to score. The waterboy also plays a key role, keeping the team hydrated and enabling them to do their best. But which gets fans into seats at the stadium? It’s the quarterback who draws the crowds and acts as the linchpin to the team’s success. Each of the requests on their own can be incredibly valuable and, as a quarterback, product marketing can still produce each deliverable. The difference between the quarterback and the waterboy is where strategy fits into the picture. Simply fielding requests from other teams puts product marketing in a reactive role, and can result in a lack of cohesive strategy connecting each effort and department. But the product marketing quarterback sets the strategy to proactively drive the creation of collateral, competitive research, messaging, and more. Product marketing’s role is to understand the market and drive go-to-market success. This definition has been echoed by organizations like Pragmatic Marketing and Sirius Decisions as well as experienced marketers at leading companies like SAP and Fuze. Underlying this definition is a conclusion around the center of the product marketing universe. It is not the products. It is not the customers either. Ultimately, the center of the product marketing universe should be the market. Focusing on the market and the buyer (or persona) helps define how a product marketing team can drive strategy across departments. Market strategy is a key input for both product strategy and acquisition strategy, but leaves room for the product management and demand generation teams, respectively, to drive those efforts. Similarly, product strategy and acquisition strategy can feed helpful insights back to product marketing, such as positioning that does/doesn’t convert well or product usage metrics that point to some use cases being more/less urgent. Focusing on the market also allows the product marketing team to step back from the tactical requests and see the big picture of where the organization needs support. While a sales rep may ask for a datasheet on the latest product feature, you may find through your market research that case studies covering each persona will have a bigger impact. Ultimately, the key to making product marketing strategic is to focus on being the expert on the market and bringing that knowledge to the rest of the company. Work with each department to establish role definitions for each function - your own flavor of the table above - to get alignment. Get a pulse from inside and outside the product marketing team to see where each sees that function on the scale of quarterback to waterboy. Then evaluate what your team needs to do establish those strategic plays and lead the team to win.